Summer is almost over and it is time to get back to serious work as the academic year has begun or is about to begin. I have to admit that development issues have been in my mind over the past few months as I will soon start to teach the development section proper from the new syllabus. 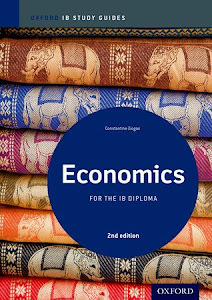 For the first time, IB Economics candidates will be forced to answer one of two development related data response questions. 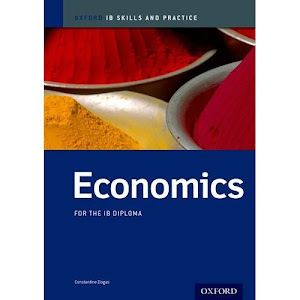 In other words, for the first time, an IB Economics candidate cannot avoid studying this most interesting (but also, in my opinion, demanding) section of the syllabus. And judging from my (senior) examining experience, examiners have not been easy to satisfy in this area, at least in the past. High marks require a solid understanding and background that is not that easy to achive in a matter of months. In any case, I'd like to bring to your attention a site and a great talk/ slide presentation. The site is the Center for Global Development. It seems to have usefull information for us. In it I found this excellent in my opinion talk and slide presentation by Owen Barder (Senior Fellow and Director for Europe at the Center for Global Development) on the evolution of development economics (very easy to understand) as well as a thought provoking presentation of development as a complex adaptive system that borrows much from physics and biology which, if nothing else, may help IB economics students realize the high degree of interconnectivity of the items in the development section of the syllabus and why 'simple recipes' that students like to propose (e.g. spend more on education and health and reform institutions) are unlikely to work. It is not an easy to follow presentation as it is chock full of ideas but Barder manages to use great examples to drive his points home.